I think it’s important to remember we don’t have to be the roaring lion to be courageous. 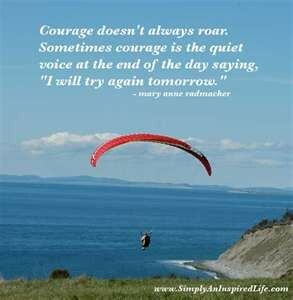 SOmetimes courage is just getting up and trying again. Happy Monday everyone!